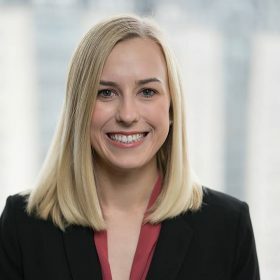 Taryn Nasr is a director in the Business Valuation Services division at VMG Health and is based in the Dallas office. Her focus is providing financial, valuation, and transaction advisory services for businesses within the healthcare services industry. She has particular expertise in valuations relating to ambulatory surgery centers, surgical hospitals, oncology centers, diagnostic imaging centers, physician practices, freestanding emergency departments, and other ancillary healthcare service businesses. Additionally, she has experience providing financial consulting and operational assessment services for transaction planning purposes. Mrs. Nasr received a Bachelor of Business Administration in Corporate Finance from the McCombs School of Business at the University of Texas at Austin with a minor in Accounting. She is designated as an Accredited Senior Appraiser (ASA) from the American Society of Appraisers.